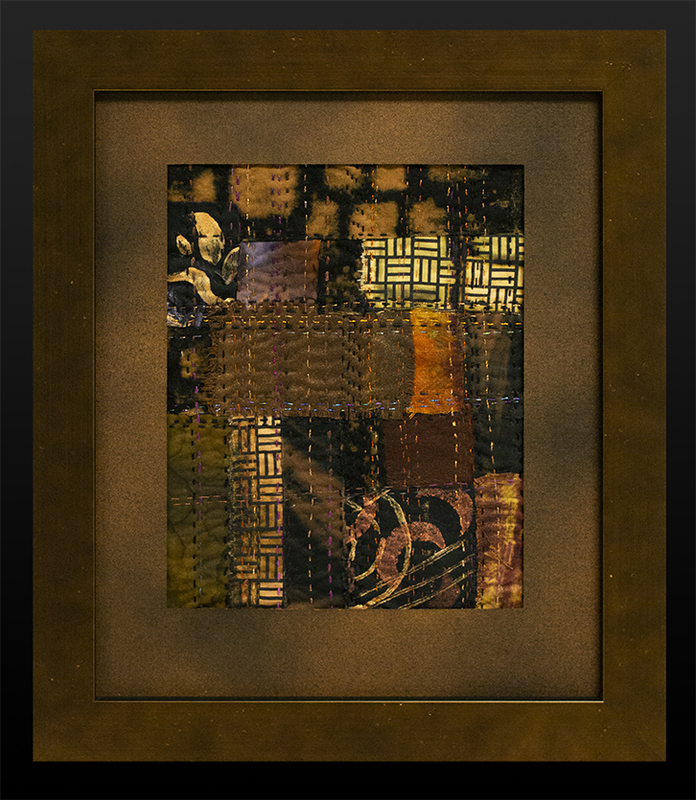 The rich lush black, tan, and coppers shine in this hand-stitched artwork. 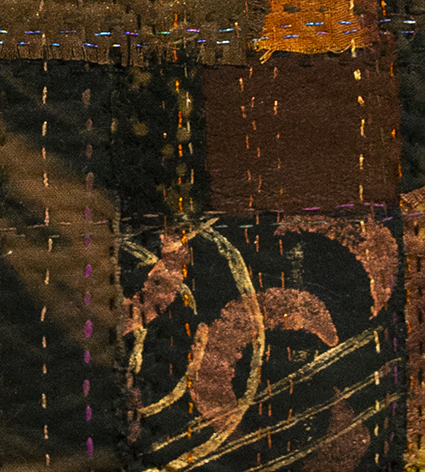 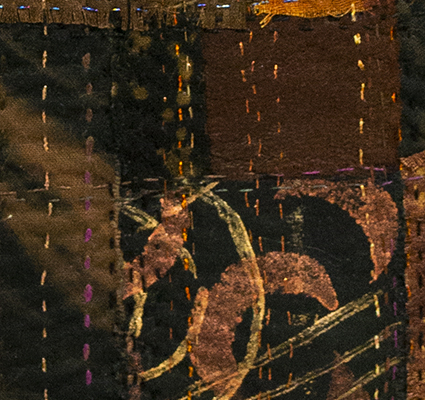 Metallic threads add glints of additional color to add to the rich feel of the piece. 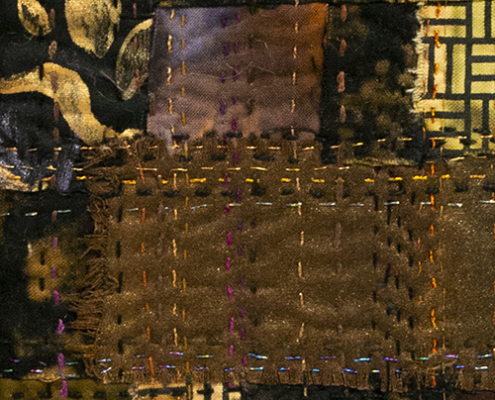 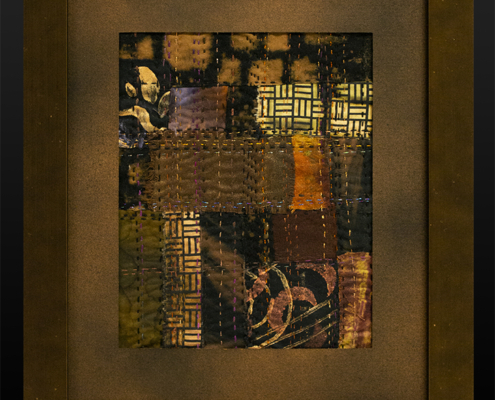 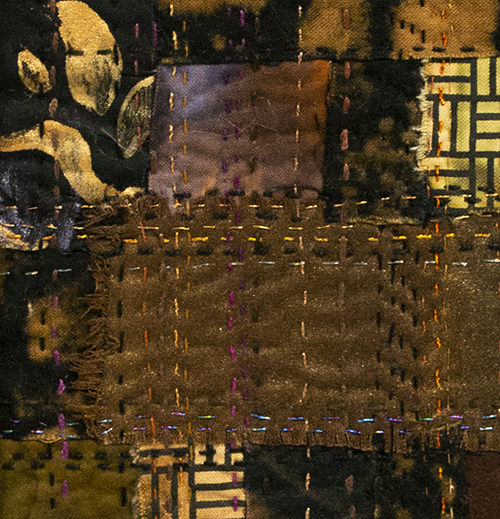 Materials and Techniques: Hand dyed cotton fabrics, black commercial cottons that are discharge-dyed, iridescent paints applied with hand-carved block prints, pieced by hand, hand stitched using contemporary darning techniques, cotton and metallic threads (goldwork).